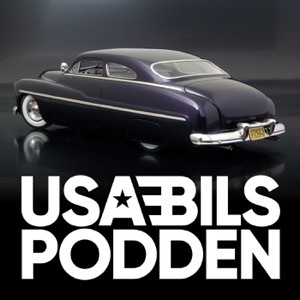 USA-bils podden är en hyllning till alla er som älskar amerikanska bilar. Från ett ytterst personligt perspektiv så får ni följa med in i huvudet på Kristoffer Sundlin och Peter Camarstrand - grundarna av klädmärket DePalma och hybridbyrån DPLA med svart bälte i onödig information om allt som har en V8. Varför är t ex alla Corvette-ägare swingers? Och varför satt dem i Gene Winfields nerkissade soffa? Nya avsnitt ute varje fredag. Gillar du USA-bilar så kommer du dyrka podden. America's funniest auto mechanics take calls from weary car owners all over the country, and crack wise while they diagnose Dodges and dismiss Diahatsus. You don't have to know anything about cars to love this one hour weekly laugh fest. I Vi Bilägares Podcast pratar vi om allt som har med livet med bil att göra. Motorminnen och goda råd blandas med de senaste nyheterna. Vi håller dig uppdaterad om bilvärlden! BMW TV brings you all the news and highlights around BMW. The official BMW videos cover topics such as News, Automobiles, Sport, Development and Motorcycles. So download, hit play and enjoy the ride. Tesla Motors enthusiasts looking for a show about the latest news and analysis on the all-electric high-performance vehicle company need look no further. Ride the Lightning: Tesla Motors Unofficial Podcast is a weekly show made for Tesla fans and owners by Tesla community veteran Ryan McCaffrey. Each week we'll cover everything happening with the Model 3, Model S, Model X, Gigafactory, and more! Matt Covert of Racers HQ shares everything he knows about autocross, auto racing, stunt driving, vehicle dynamics, and race driving techniques and strategies so you can get your career started the right way. Driver skill, vehicle tuning, and the winning motorsport lifestyle are all crucial topics when striving to launch a racing career on a budget. Matt’s knowledge of the driving world has allowed him to become a professional stunt driver for film/television/live entertainment and a successful amateur racing driver. Tap into your creative entrepreneur spirit and start living the life you love. Learn about weight transfer, slip angles, neutral steer, sponsorship, motorsport business, and everything else that will make you a winning driver. Clutchkick is a weekly podcast by a handful of car enthusiasts from around the US. Diverse discussions of cars, opinions, the scene, and other shenanigans.